It's Sunday, Sunday, Sunday inbound marketing nation! 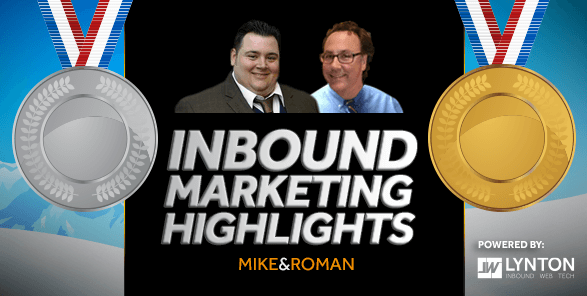 See all the inbound marketing highlights you may have missed this past week. Last day of the Olympics. Have you watched? I'm told Mr. Costas is taking the red-eye home. Does WhatsApp deal show Facebook knows what's up? And here I thought my brain was growing. "It's not a tumor." "Social networking probably isn’t making you smarter. In fact, it could be making you dumber by supplying answers and insights without requiring any actual thinking, so that your analytic powers begin to waste away like an unused muscle." Hmm. I'll have to give that some thought and analysis. Madonna - aging superstar and budding content marketing advisor. Sort of. When Coke talks about how it's going to reinvest $1 Billion for marketing, we should pay attention. “There’s no reason that in four or five years that shouldn’t be 40% or 50%,” Mr. Sherman said. Half of all Hubby sales being international. Impressive. And aggressive. What happened to all the Facebook love about just connecting people? Now, they are just buying people (and apps) to get access to their data. I know it's Sunday morning. Finish your coffee, enjoy the OIympic Closing Ceremonies, have a great week and let's meet up next week - same time and same bat station.